San Diego, Ca. – June 19, 2013 – 95.7 KISS FM (KSSX), The Rhythm of San Diego, announced today that it has named Louie Cruz Program Director, effective July 1, 2013. Cruz will bring more than 20 years of radio broadcast experience to his new position at 95.7 KISS FM. His love for radio started from watching the popular 1980’s television sitcom WKRP in Cincinnati and listening to Don Rose on the legendary KFRC. As a teenager, he began mixing at house parties and later at nightclubs before landing his first radio gig at KSFM-FM in Sacramento. Cruz has been both an on-air talent and Program Director for the past 12 years. He most recently served as Program Director at KKBB-FM in Bakersfield, where he led the station to ratings success since 2005. Cruz also previously served as a board member for the Kern County Hispanic Chamber of Commerce. 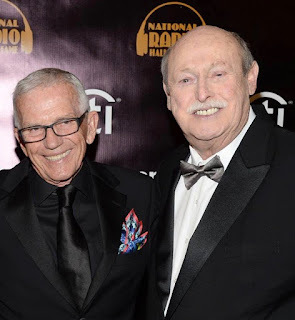 "Louie’s personal connection and successful track-record with the Rhythmic AC format are an ideal match for 95.7 KISS-FM," said John Peake, Vice President of Programming, Clear Channel Media and Entertainment San Diego. "We’re excited to add Louie’s tremendous format experience, winning attitude and a great work ethic to San Diego’s hottest new radio station." Fans can listen to 95.7 KISS FM from the station’s website, www.957kissfm.com, as well as on iHeartRadio.comand the iHeartRadio mobile app, Clear Channel’s all-in-one free digital listening service. iHeartRadio delivers everything listeners want in one free, fully-integrated service: instant access to more than 1,500 of the nation’s most popular live broadcast and digital-only radio stations from 150 cities, plus user-created custom stations inspired by favorite artists and songs. iHeartRadio also offers listeners a new “Perfect For” feature which allows users to choose from thousands of curated stations based on a range of moods and activities. Clear Channel San Diego owns and operates KBG-FM; KHTS-FM; KIOZ-FM; KLSD-AM; KMYI-FM; KOGO-AM; KSSX-FM and is part of Clear Channel Media and Entertainment. With 243 million monthly listeners in the U.S., Clear Channel Media and Entertainment has the largest reach of any radio or television outlet in America. Clear Channel Media and Entertainment serves 150 cities through 850 owned radio stations. The company’s radio stations and content can be heard on AM/FM stations, HD digital radio channels, Sirius/XM satellite, on the Internet at iHeartRadio.com and on the company’s radio station websites, on the iHeartRadio mobile application on iPads and smartphones, and used via navigation systems from TomTom, Garmin and others. The company’s operations include radio broadcasting, online and mobile services and products, syndication, music research services and independent media representation. Clear Channel Media and Entertainment is a division of CC Media Holdings, Inc. (OTCBB: CCMO), a leading global media and entertainment company. More information on the company can be found at www.clearchannel.com.